"...Although Cash may not have much in common with bubble gum boy/girl bands, he does share some turf with hip-hop's gangsta rappers. As Quentin Tarantino points out in the liner notes for Cash's Murder disc (from the Love, God, Murder box set), little separates gangsta rappers', "tales of ghetto thug life from Johnny Cash's tales of backwoods thug life." Like gangsta rappers, Cash sings about violence, murder, drugs, and prison. He peers into the minds of serial killers ("Thirteen"), drug addicts ("Cocaine Blues"), and prisoners ("The Wall"). However, as Tarantino points out, Cash's songs differ from most gangsta rap in that he never lets his protagonists escape from regret. Most gangsta rap describes pimps and hustlers flexin' in expensive cars, with women, drugs, and money smackin' down anyone who steps to them. 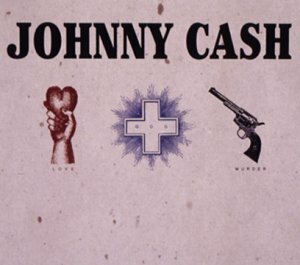 Cash's songs, on the other hand, are sung by characters after they have committed their crimes, when they are in prison and often on death row. His songs have an overriding morality and humanity. In the words of "Folsom Prison Blues:" "I know I had it comin', I know I can't be free, but that train keeps a rollin' and that's what tortures me." His protagonists are sinners who know they've sinned, regret their actions, but still know it is in their nature to sin again." N.P. This page was last edited on 6 January 2008, at 14:41.